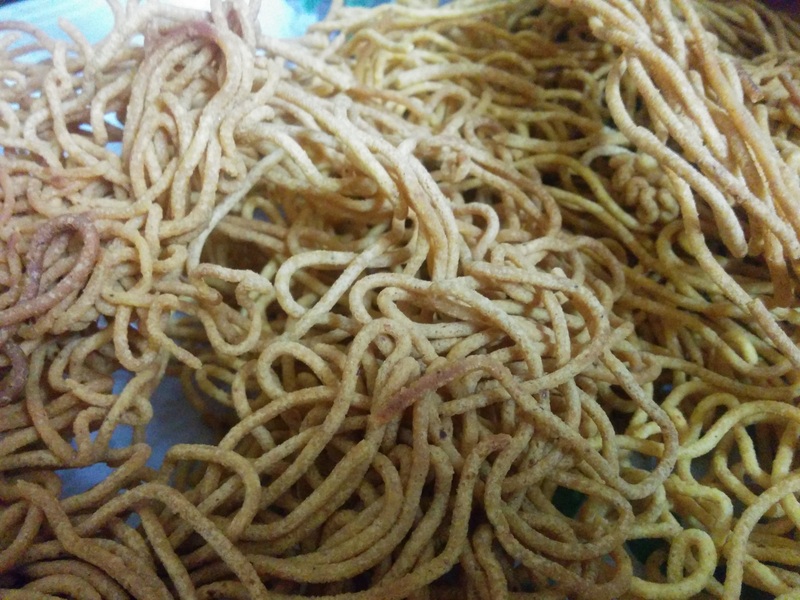 Crispy and Crunchy Besan Sev is the simplest Diwali Faral made by many household in India. For making this crunchy treat you need a proper Sev making instrument available in the market. Key for making this treat is the consistency of the besan batter that is inserted to the Sev making instrument. Besan is the common ingredient found in most of the household. This is the best use of the besan to make yummy sev which can be eaten at tea time. 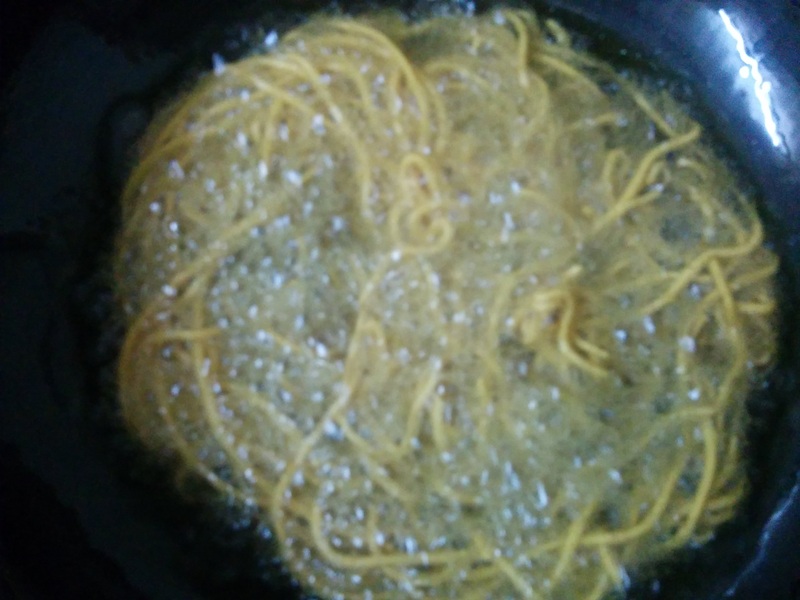 One can also use the sev to make bhajji of besan sev to eat as a cuisine. I am sure after you prepare this delightful tasty snack at home, you will never opt to buy the same from ready-made products. Try the easy step recipe and share your experiences. In an utensil mix Besan (gram flour) along with ajwain, red chilli powder, asafetida, salt, turmeric, black pepper and water to form a smooth mixture. Now add 3 tsp of heated oil to the mixture for smoothing the consistency. Meanwhile heat Oil for frying the sev. Pour the prepared mixture in sev making instrument and gently roll the sev into the heated oil for frying. Retrieve the golden crispy besan sev which is ready to eat!